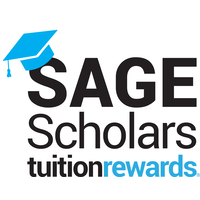 We are now a proud partner with SAGE Tuition Rewards®, and offer up to 9,000 rewards points ($9,000 value) over 4 years to Students who are enrolled at O’Hara. Redeem your points to help pay for up to one year of tuition at any one of SAGE’s network of participating colleges. SAGE's continually growing network is currently comprised of almost 400 private colleges! Freshman Year at O’Hara:2,000 annual rewards points ($2,000 value) awarded to each student for attending O’Hara. -Additionally, the Student will earn an additional 500 rewards points ($500 value) for registering their name in SAGE’s TuitionRewards system. Sophomore Year at O’Hara:An additional 2,000 annual rewards points ($2,000 value) awarded to each student for attending O’Hara. Junior Year at O’Hara:An additional 2,000 annual rewards points ($2,000 value) awarded to each student for attending O’Hara. -Additionally, each Junior will receive an additional 2,500 rewards points ($2,500 value) for completing their profile within the TuitionRewards system. Tuition Reward Points may be redeemed for discounts of $1 per point on undergraduate tuition at participating 4-year private colleges & universities, starting with the freshman year of college. Points must be submitted at time of application for the freshman year. Tuition Rewards are remitted solely as a reduction to the participating college’s full tuition bill – NOT awarded in cash. Participating colleges reserve the right to include Tuition Rewards as part of any financial aid package. Tuition Rewards are limited to a maximum per student of up to one year’s tuition spread evenly over 4 years, or as contractually agreed to between SAGE and the participating college.